Stanford researchers develop method of generating hydrogen from seawater. 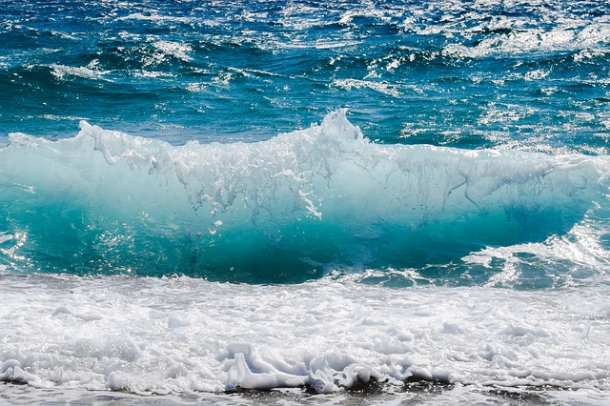 Stanford University researchers have developed a method of generating hydrogen from seawater. The breakthrough harnesses solar power to drive the process of electrolysis to separate hydrogen and oxygen gas from water. Previously, water splitting methods have relied on highly purified water, an expensive and precious resource. Hydrogen fuel is a promising option in the fight against climate change because it doesn’t emit carbon dioxide when burned. Seawater could soon become a source of abundant hydrogen fuel after breakthrough research from Stanford scientists. However, utilising the clean gas as a fuel to power cities and vehicles would be impossible, according to lead researcher, Hongjie Dai. “You need so much hydrogen, it is not conceivable to use purified water,” he said. So the team turned to saltwater from San Francisco Bay. They created a proof-of-concept demo using solar panels, electrodes and ocean water. The Stanford prototype uses electrolysis: put simply, splitting water into hydrogen into oxygen using electricity. A power source (in this case solar panels) connects to two electrodes placed in water. Hydrogen gas bubbles from the negative end, oxygen from the positive. Unfortunately, negatively charged chloride in seawater corrodes the positive end and shortens the life of the the device. The Stanford team found that by coating the anode with layers rich in negative charges, they repelled the chloride and halted the decay of the underlying metal. The team used coatings nickel-iron hydroxide on top of nickel sulfide, covering a nickel foam core. The nickel foam acts as a conductor, enhancing the transport of electricity to the system. Without the coating, the anode only functioned for 12 hours in seawater. The team were able to conduct 10 times more electricity through their device than similar systems. The Stanford device matches current technologies used by industry today. After breaking the hydrogen-from-seawater barrier, the researchers will now turn their prototype over to manufacturers to scale the system for mass production. Dai said the breakthrough opens the door for widespread generation of hydrogen fuel powered by wind and solar energy.